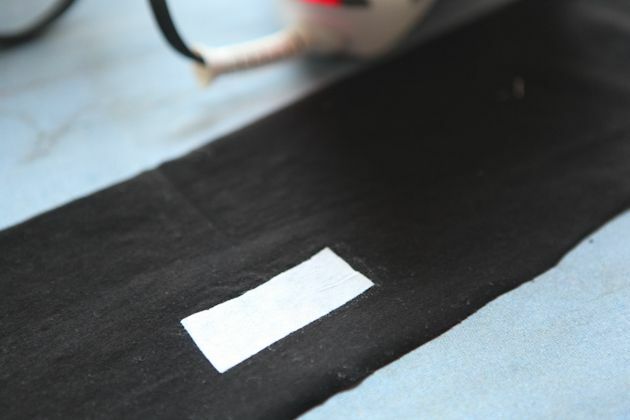 11 – Fuse your 2” x 1“ scrap of interfacing to the back side of the waistband, horizontally centered behind the buttonhole marks. 12 – Join the two short ends of the waistband together, forming a ring, right sides together. Pin, stitch, press open. 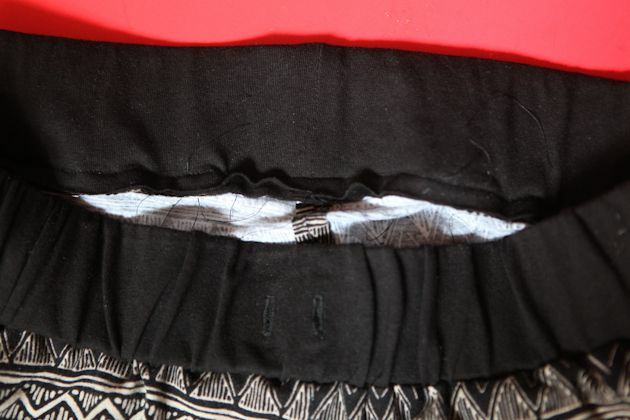 13 – Fold the waistband in half lengthwise, wrong sides facing each other. Pin the raw edges together. 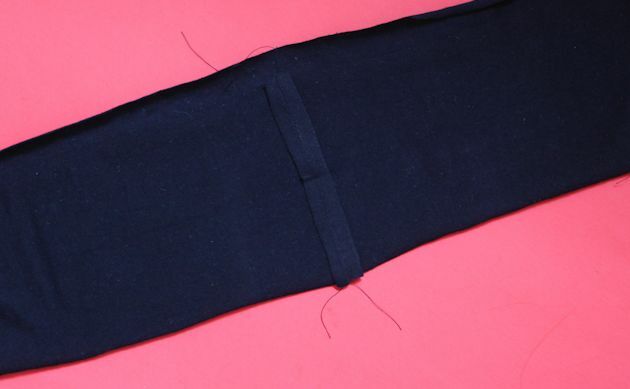 14 – Match the right side of the waistband (side with buttonholes) to the right side of the pant at waist. Pin in place matching center backs, center fronts, and side seams to circle markings. Everything should match up really nicely, but the great thing is that even if you have a bit of extra fabric you can just stretch to fit. Stitch together leaving a 4” opening at center back. 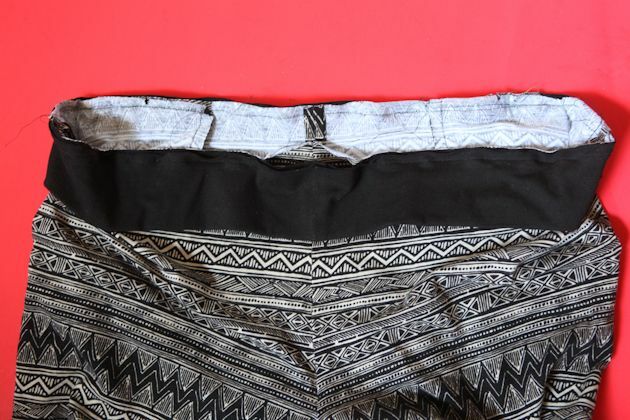 15 – Wrap your elastic around your lower waist (not your natural waist as theses pants sit about 3″ below your natural waist ) and find the length that feels comfortable, but is still snug. This is not the same as your waist measurement. Because you want it to be snug it is usually about 1″ smaller than the measurement itself. 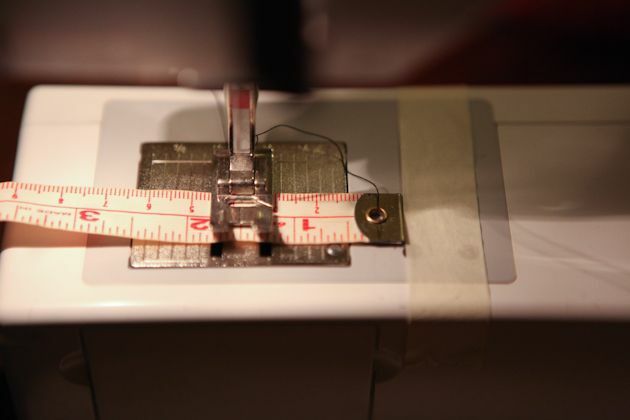 Add 1/2” for overlap and cut your elastic. 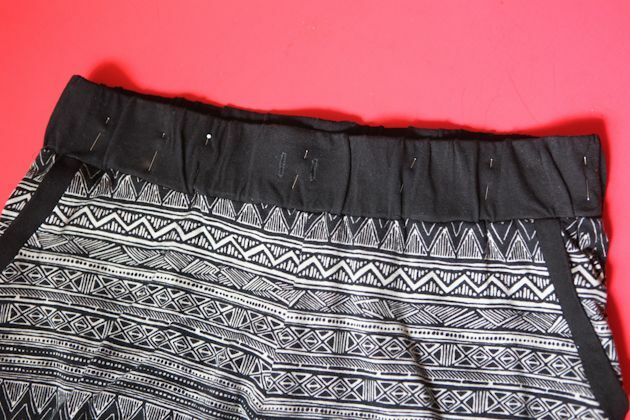 Attach a safety pin to one end of the elastic and feed it through the 4“ opening in the waistband until it forms a circle with both ends exiting the waistband. 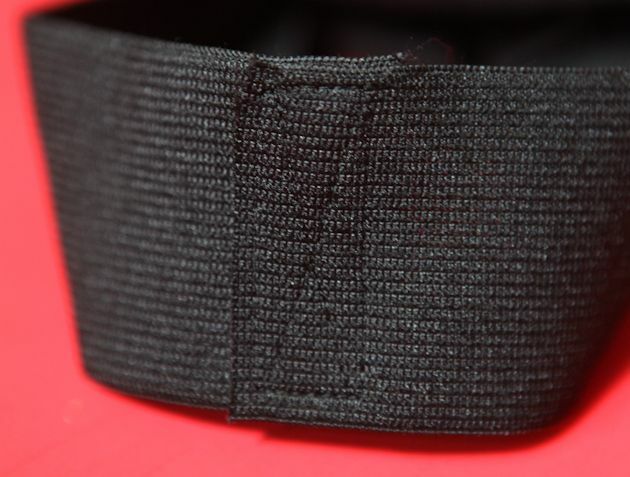 Overlap by 1/2” and topstitch the overlapped area of the elastic until it is secure. It is very important that this stitch is VERY secure. Stitch over it multiple times and in multiple directions. I usually stitch a rectangle and then an x inside of that. 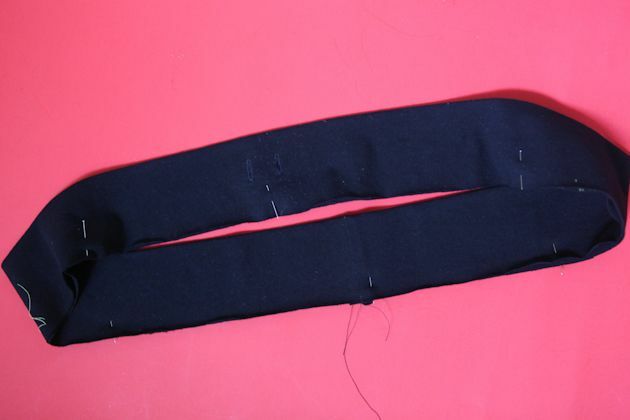 16 – Put the elastic all the way inside of your waistband and stitch up the 4” opening so that the elastic is fully encased and the pants are completely attached to the waistband. Press the seam allowance down towards the pant. 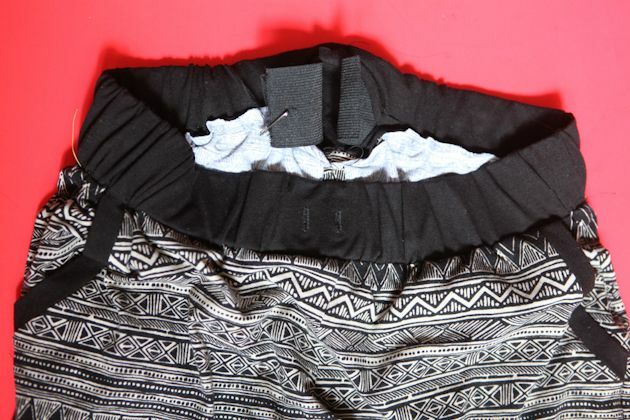 Distribute the gathering on the waistband evenly. 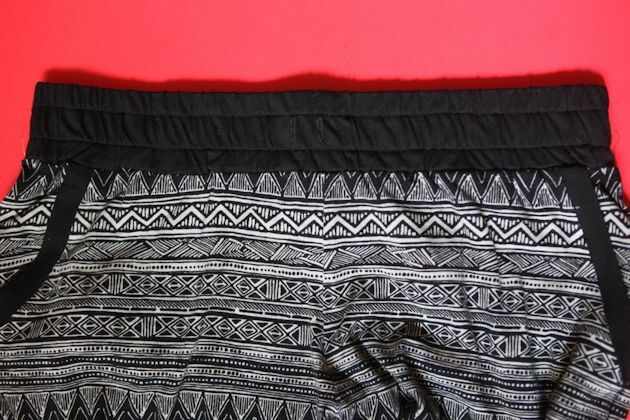 Pin waistband fabric to the elastic every few inches to keep the gathering in place. This will come in handy in the next step when you are topstitching all of those gathers. 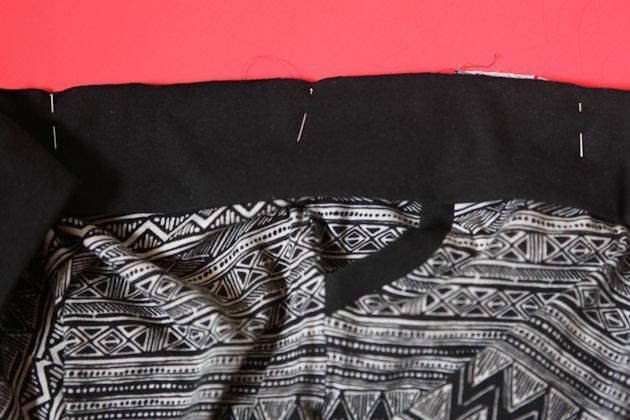 I also like to lightly iron the waistband at this time to set all of the gathers in place before stitching them. 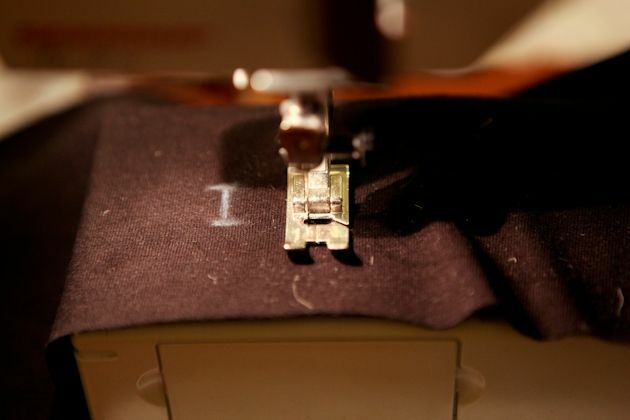 17 – Using a slight zigzag stitch (or stretch stitch) on your sewing machine, start at center back and topstitch around your waistband through both layers of fabric and the elastic at 5/8” from the top. 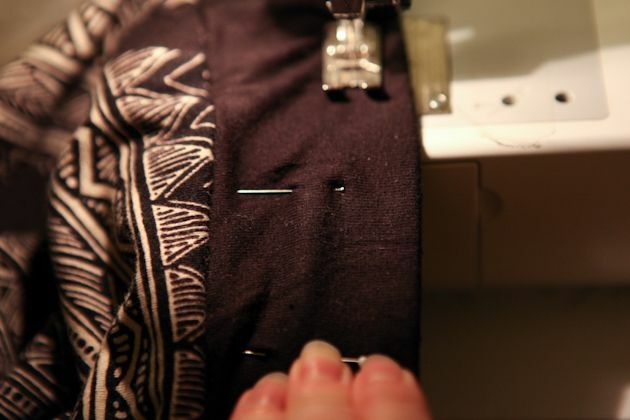 You will need to pull your elastic until the waistband fabric is not gath- ered in front of your presserfoot as you sew. This will feel a little awkward at first, but just hang in there until you get the hang of it. I find that if I hold the waistband about 3 inches behind the presserfoot with with my left hand and about 5 inches in front of the preserfoot with the right hand that it feels most comfortable and I can hold the waistband secure without putting any tension on the sewing needle. 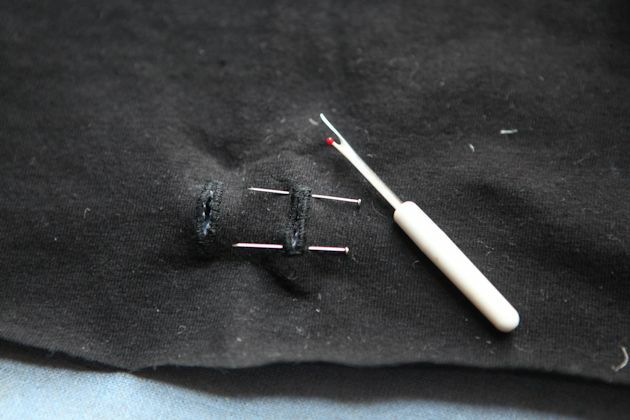 18 – Attach your drawstring cord to a safety pin and feed it through one buttonhole, into the casing created by the topstitching, and back out the other buttonhole. Shorten cord if necessary. There are a few ways that you can secure the ends of your cord from unraveling. You can simply stitch them, or tie a knot, or if it’s synthetic you can also melt the end. I know that one of my testers just bought a shoelace to use and that way she didn’t have to worry about the ends which I thought was an awesome idea. OK, that’s it for today. We are so close to being done. Just the cuffs tomorrow. * The fabric and prizes for this sewalong were generously donated by Wanderlust Fabrics. I love theses pants!! Wish I had started with the sew along! Still one can always go back and reference these tutorials! Your pants look great!! Loving the sew-a-long! So….I’m holding out on sewing the channels because I’ve already broken 2 of my ballpoint needles on the elastic. WHAT the heck? Any suggestions? wow, do you think that maybe you are putting a lot of tension on the needle when pulling the fabric? i don’t know what else it could be. that’s never happened to me. also, maybe a ballpoint needle made for thicker knits such as a size 14/90. I think it might be the needle thickness. Super strange! seriously. let me know if the thicker needle helps. im super curious now. 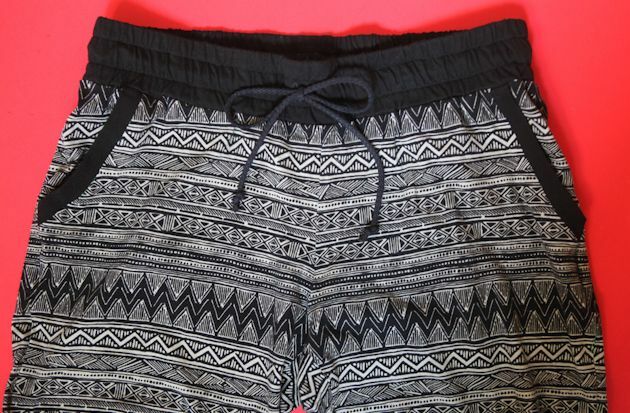 What kind of fabric are you using for the waistband and the ankle cuffs? Do you talk about that somewhere – maybe I missed it? I hope to sew some of these over Christmas! I seem to be missing the waist elastic length chart on the pattern. Can someone point me in the correct direction? Thanks Guys! !